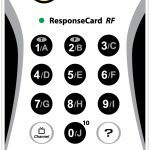 ResponseCard Radio Frequency (RF) clicker is optimized for small, medium and large classroom environments. Taking advantage of the latest technology advancements, ResponseCard RF provides featres and functionality required to ensure student response transmissions are accurately and effortlessly transmitted to the instructor’s receiver. Our patented design immediately gathers real-time feedback from students. 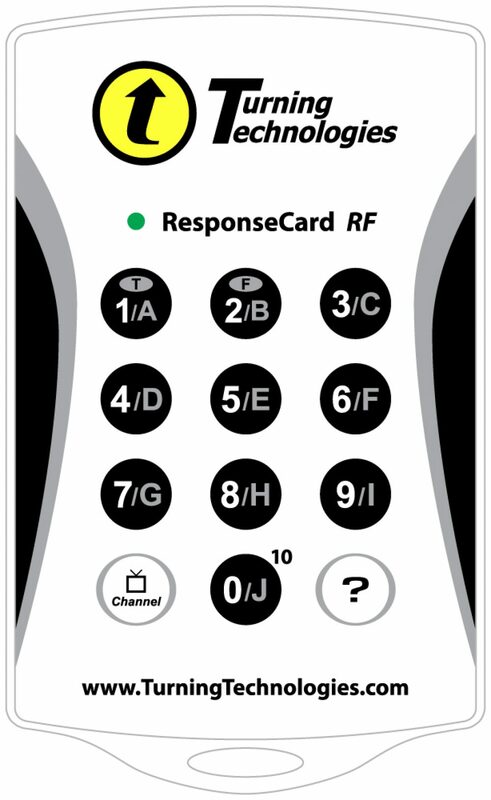 ResponseCard RF clickers are compact in size and lightweight to allow for easy transportation to and from class. The durable ResponseCard has been rigorously tested in classroom environments. Students receive answer confirmation on their ResponseCard through two-way communication. Successful transmissions are acknowledged on the student’s clicker via three second green light signal.